Houston Business Journals reported on July 14, 2016 that one example of an energy company that has spruced up its workspace is Houston-based Phillips 66 which just unveiled its new global headquarters. The company's CEO, Greg Garland, said that recruiting and retaining Millennials was a significant motivator for the new campus. The headquarters has a yoga studio, massage parlor, putting green, spinning studio, basketball court, and a soccer field with a track. It also has an on-site dentist and physician through Memorial Hermann Health System, as well as two credit unions with campus outposts – Houston-based Member's Choice Credit Union and Oklahoma-based Truity Credit Union. Employees can de-stress in a massage parlor, or get their suits and skirts pressed in an on-site Men's Wearhouse dry cleaner. "Thirty-six percent of our workforce are Millennials," Garland said. "(That number) is going to grow, and these are the kinds of facilities that attract Millennials and the kind of place they want to work at. … (It’s) part of just being competitive in this market." Houston Business Journal reported on June 6, 2016 that after almost four years of construction, Phillips 66 will move all 2,200 of its Houston-area employees into its new global headquarters in Westchase in July. The company will move employees from four locations: The Pinnacle Building at 3010 Briarpark Drive, The Reserve Building at 3250 Briarpark Drive, One Briarlake Plaza at 2000 W. Sam Houston Parkway South and 600 North Dairy Ashford. 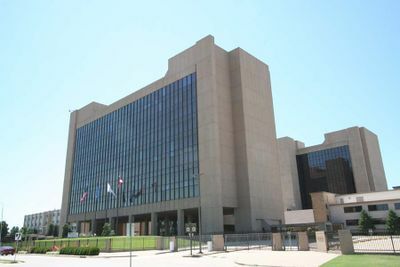 The 14-acre campus is anchored by 13- and 15-story office towers connected via a 3,000-square-foot walking bridge and an eight-floor parking garage. Employees will have the opportunity to play where they work, too; amenities include a soccer field, a sports deck with putting greens, a fitness center, and cafe. Bryce Meyers reported at Cosat on March 21, 2016 that Phillips 66 is subletting 242,000 square feet at Three Westlake Park at 550 Westlake Park Dr.
Houston Business Journal reported on April 10, 2015 that "the construction of Phillips 66's new global headquarters (1.1 million square feet) has resulted in a huge boost to the [Westchase] District, as it has spurred other development. From a district perspective, we're excited about the development of our new community park, which will be a great new asset for the area," said Sherry Fox, vice president of communications with the district. In December, Phillips 66 "topped out" its headquarters building. The building is expected to be complete in mid-2016. The Houston Business Journal reported on December 17, 2014 that the final beam was cautiously placed at the highest level of Phillips' new headquarters building with a ceremonial 22-foot tree placed on top. The topping off construction milestone for the headquarters will soon "bring everybody home" from a geographically fractured family of seven Phillips 66 buildings in the Houston area, said Mike Wirkowski, Phillips 66 general manager for projects. "It's a great symbol of the commitment our company has to our employees," added Debbie Adams Phillips 66 senior vice president of HSE, projects and procurement, as well as a symbol of an old company being new again. The headquarters project is running on time for Phillips 66 even though the company switched contractors from Houston-based W.S. Bellows Construction to Rhode Island-based Gilbane Building Co. in November for undisclosed reasons. Jordan Blum reported at the Houston Business Journal on October 31, 2014 that Phillips is switching contractors for its big corporate headquarters under construction in the Westchase District terminating its deal with Houston-based W.S. Bellows Construction and has contracted with Rhode Island-based Gilbane Building Co. Dennis Nuss, Phillips 66 media relations director, did not disclose the reason for the change calling it a private contractual matter. but says that the scope, cost and timeline of the project will not be impacted, although he would not elaborate on the reason for the change. 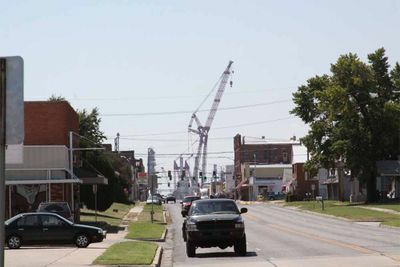 "The construction of the new Phillips 66 campus remains on schedule and is expected to be completed by mid-2016." 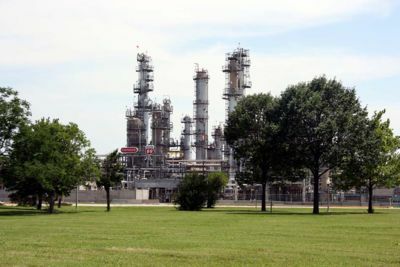 The Phillips 66 campus is designed to house the downstream company that spun off from Houston oil major ConocoPhillips (NYSE: COP) two years ago, and will include a soccer field, café, fitness center, credit union, covered parking and training and development center. The company has leased 210,745 square feet of space for its interim headquarters at Pinnacle Westchase. The Houston Business Journal reported on November 22, 2013 that Phillips broke ground on November 22, 2013 on its new 1.1 million-square-foot corporate campus in the Westchase District that will house all of the company’s 1,800 Houston-area employees once construction is finished in about three years. 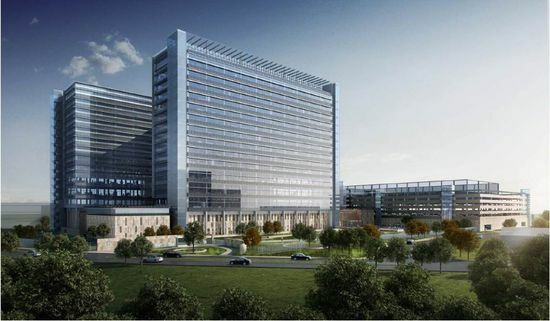 The Houston Chronicle reported on July 23, 2013 that Phillips' new headquarters, still in "conceptual design phase,” will include about 1.1 million square-feet of space in multiple buildings, along with a cafeteria, fitness center, coffee shop and conference center. The new facility, located on about 14 acres, will provide office space for the 1,800 employees that work for the company in Houston. Construction is expected to start by the end of the year. We are excited about our new state-of-the art Phillips 66 headquarters facility, which when built, will provide a location for all of our Houston employees to work together at one location, and it will provide our global employees with a place to meet, train and grow,” said spokeswoman Janet Grothe. Phillips reported on September 9, 2012 that the company will build its new global headquarters at a 14-acre site located off Beltway 8 West, between Westheimer Road and Briar Forest Drive. “We searched for several months for the right site to build a headquarters campus where our employees and future employees can come together to work, and develop their skills and talents,” said Greg C. Garland, chairman and chief executive officer of Phillips 66. “This property is conveniently located in the Westchase District and a location that aligns with our commitment to making our company a great place to work.” Once ground is broken at the new site, construction is expected to take between 24-36 months. CSPNet reported on July 9, 2012 that Janet Grothe, senior adviser for health, safety and the environment at Phillips 66, confirmed that Phillips 66 has settled on a temporary headquarters in the Pinnacle Westchase building near ConocoPhillips' home office in the Houston "Energy Corridor." ConocoPhillips' headquarters is about eight miles away. In March, 2012 it sent an email to employees that said the new headquarters would be constructed near Interstate 10, within 10 miles of ConocoPhillips' current headquarters. The Pinnacle Westchase building fits that general description. Houston Business Journals reported on March 20, 2012 that according to an email sent to employees, the new headquarters of refining and marketing spin-off company Phillips 66 will be near Interstate 10 and Beltway 8, within 10 miles of ConocoPhillips' current headquarters at 600 N. Dairy Ashford Road. The decision to locate in Houston was made because the company’s oil and gas infrastructure is already present. During the two- to three-year construction period on the new facility, Phillips 66 employees will be located in temporary locations in the company’s current space. ↑ Houston Business Journals. "The catch-22 of office space that's hurting energy companies" by Cara Smith. July 14, 2016. ↑ Houston Business Journal. "First look: Inside Phillips 66's new Houston HQ" by Cara Smith. June 25, 2016. ↑ Cleveland Advocate. "Phillips 66 donates $500K to Red Cross disaster relief" April 21, 2016. ↑ Cosar. "Office Lease Up (March 21) Shell Latest Company Looking to Sublet Space in Houston" March 21, 2016. ↑ Houston Business Journal. "Beyond The List: Houston management districts tout top projects" by Madison Henry. April 10, 2015. ↑ Houston Business Journal. "Phillips 66 tops out new Houston headquarters (Video)" December 17, 2014. ↑ Houston Business Journal. "Phillips 66 switches contractors on new Houston campus" by Jordan Blum. October 31, 2014. ↑ Houston Business Journal. "Rendering: Phillips 66 breaks ground on new corporate campus" by Shaina Zucker. November 22, 2013. ↑ Houston Chronicle. "Phillips 66 reveals rendering of new HQ" July 23, 2013. ↑ Phillips 66. "Phillips 66 chooses site of new global headquarters" September 9. 2012. ↑ CSP Net. 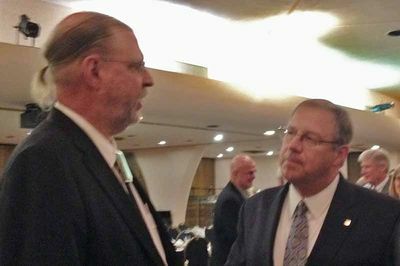 "Phillips 66 Setting Up Shop in Interim HQ" July 9, 2012. ↑ Houston Business Journal. "Phillips 66 to build new Houston headquarters" March 20, 2012. This page was last modified on 21 August 2018, at 02:03.